The American Society of Cataract and Refractive Surgery is comprised of an international, educational society that makes up more than 8,000 members, all working to advance the science and craft of ophthalmic surgery. Additionally, the collective wants to enhance the knowledge and skills of ophthalmic surgeons by coordinating clinical and practice management education and by working with the medical community, patients, and governments to promote the facilitation and advancement of world-class and high-quality eye care. A core focus of the society is to streamline and continuously perfect laser treatment for eyes of patients with vision problems. The organization was created by young, innovative ophthalmologists, who created a framework around grants and research to constantly contribute and make improvements in the eye care field. Aligning with a network of partner organizations focused on improving physician capacity, productivity, and quality, The American Society of Cataract and Refractive Surgery (ASCRS) is proud of the advancements to laser treatment for vision problems that they’ve achieved and continue to work on. Founded in 1974, the ASCRS has pioneered the industry through significate developments in technology and clinical science. The educational programs, publications, and online resources have been fundamental tools to guide others in the eye care field. Surgeons have access to up-to-date clinical information, published research, and regulatory information thanks to ASCRS, benefitting professional in the practice of medicine. 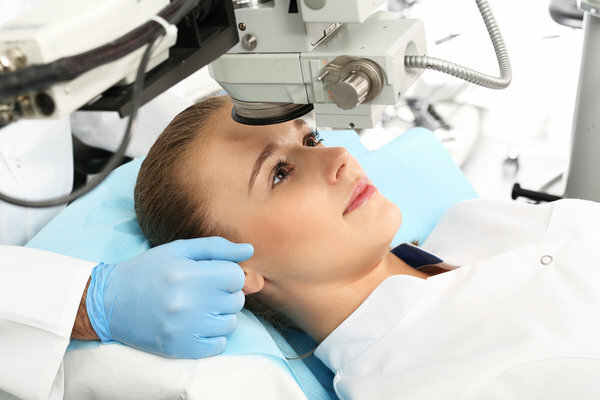 Due in large part to the research and evaluations conducted by the ASCRS, laser treatment for vision problems has become a successful approach that has allowed countless individuals to regain clear eyesight. The organization holds annual meetings to inform their network of professional surgeons on the advances and directions being taken in the eye care field. Specializing in eye surgery, ASCRS surgeons are at the forefront of the technological curve in the industry and are given the resources to ensure the best practices are carried out at their facilities. In a joint production with the European Society of Cataract and Refractive Surgeons, ASCRS publishes a monthly journal titled: Journal of Cataract & Refractive Surgery (JCRS). As the largest U.S. society of cataract and refractive surgeons, ASCRS is dedicated to fulfilling the needs of anterior segment surgeons at every stage during their career. ASCRS members learn and share their programming, publications, webinars, advocacy, and more to strengthen their network and deliver the highest quality eye care available. The ASCRS EyeConnect platform allows surgeons to build community and connect with fellow medical professionals in the field and discuss crucial topics, such as laser treatment for vision problems. An online portal is a place for knowledge exchange, an idea incubator and a channel for content curation. Professionals can network and share ideas on how to improve procedures for laser treatment for eyes and share initiatives that gives patients the experience they deserve.